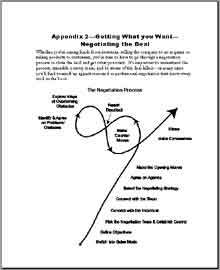 Whether you’re raising funds from investors, selling the company to an acquirer or selling products to customers, you’re sure to have to go through a negotiation process to close the deal and get what you want. It’s important to understand the process, assemble a savvy team, and be aware of the deal killers—in many cases you’ll find yourself up against seasoned or professional negotiators that know every trick in the book. No two negotiations are the same—some go through many iterations of counter moves, others need very few; some reach deadlock, others progress to close with hardly a hitch; some take months, others take a matter of minutes. Nevertheless, there is a common process that virtually all negotiations follow.